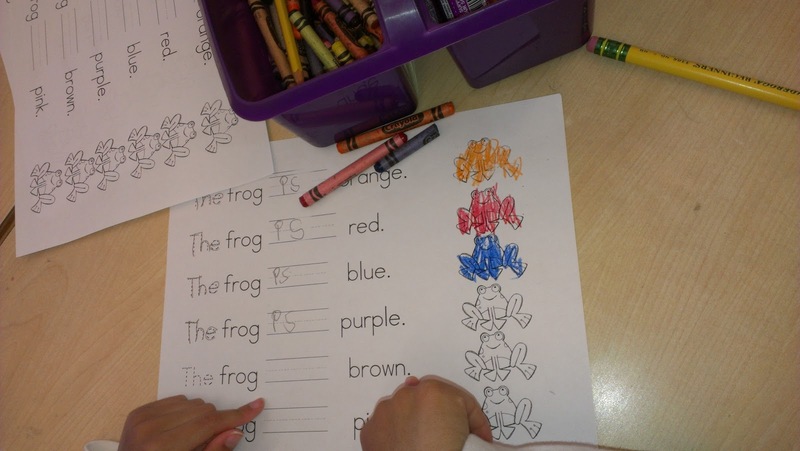 Well...last week we learned all about frogs! My school has a little pond called Cattail corner...there are all kinds of wildlife there and the kids love to visit it. We were able to get some frog egg masses from the pond and now each kindergarten classroom has their very own egg mass. Well those eggs have hatched and now we have tadpoles! The kids love watching them. They constantly talk about the poop at the bottom of the tank. Last week we did a lot of work with frogs. We labeled, learned the life cycle, and did some scientific research! Here are a some pics of the work we did. 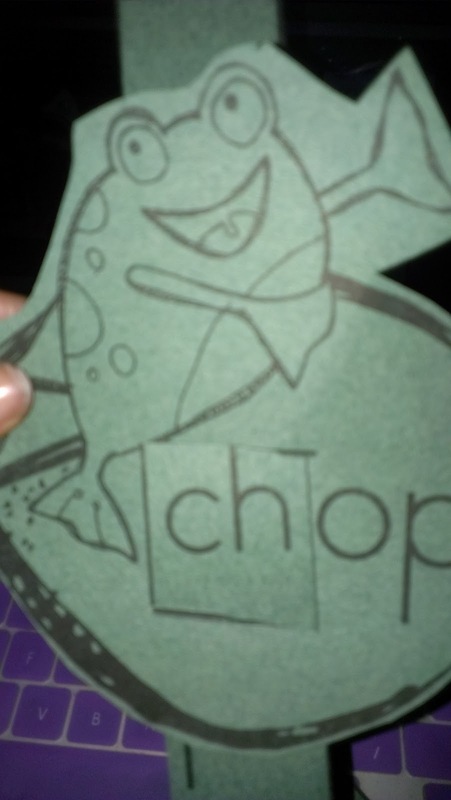 I made a word family frog. 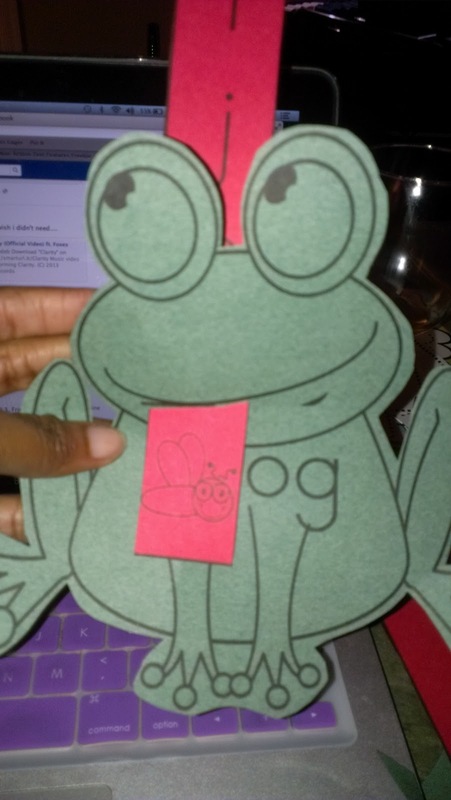 The kids slid the onset through a -og frog and an -op frog and created new words. They had a recording sheet to go along with the activity. 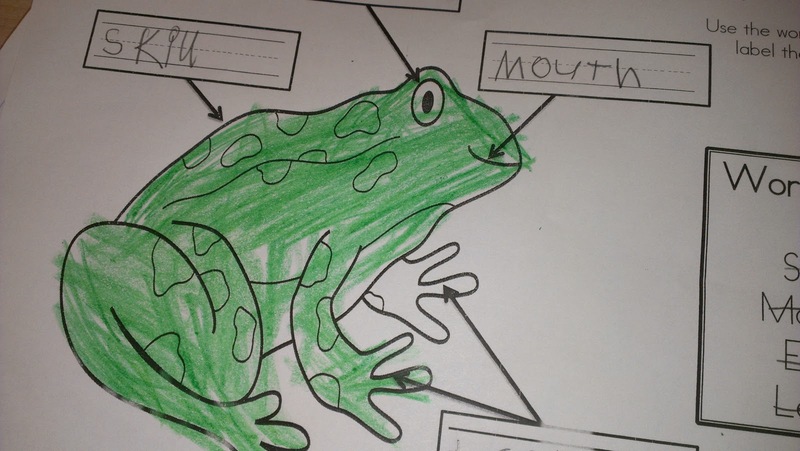 Here the kiddos labeled a frog in their science journals. 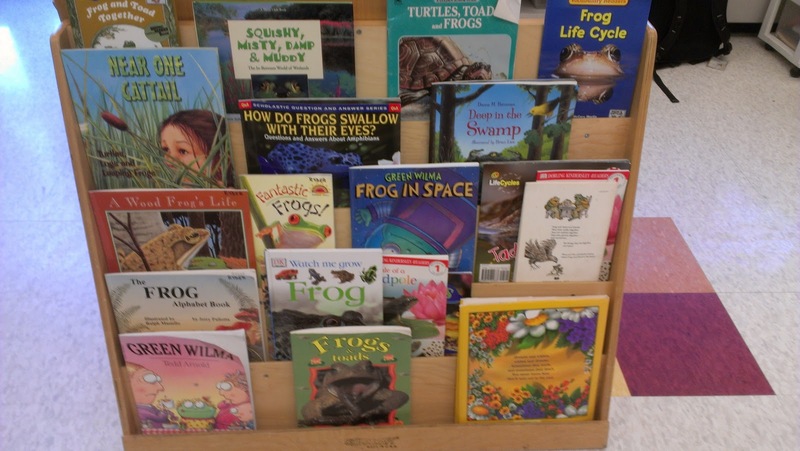 Here's our collection of frog books. Both fiction and non-fiction. 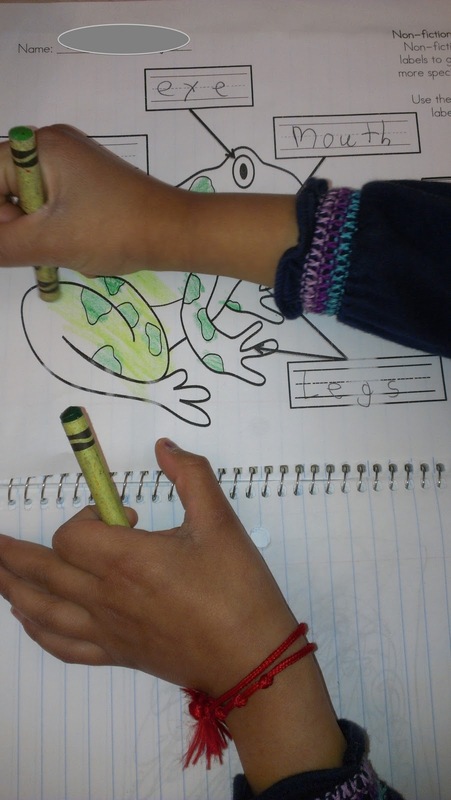 Next week, we will compare different frog characters in fiction books. We fixed some mixed-up sentences. 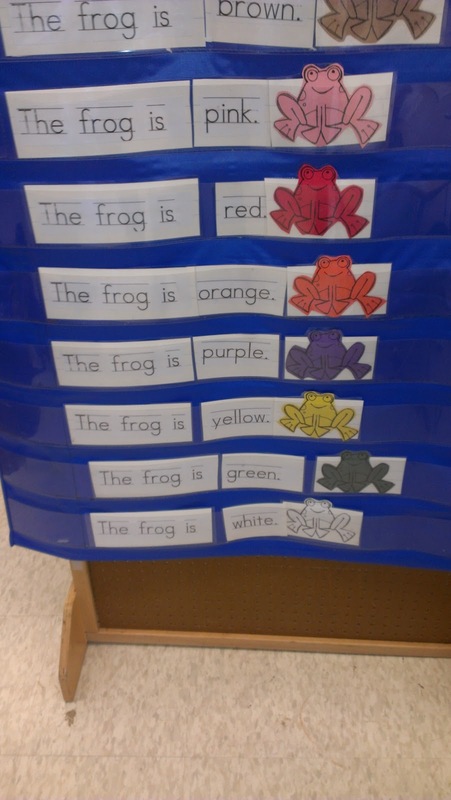 The kiddos had to read the sentence and find the frog that matched. 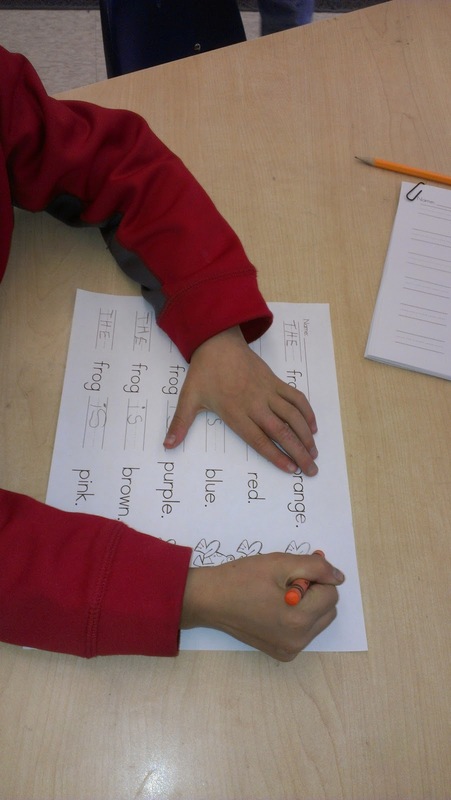 Then we got some sight word practice in with the recording sheets. I have three different levels so kids can get their individual needs met. 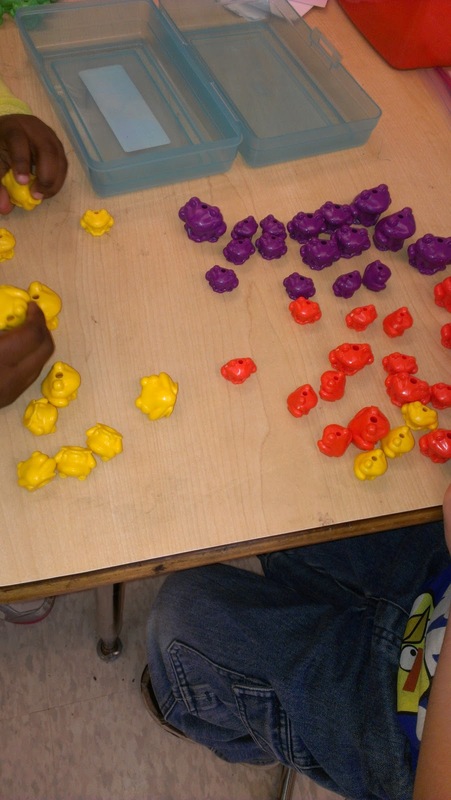 We sorted and counted frogs. Are your kiddos addicted to the I have, Who has game? Mine our. 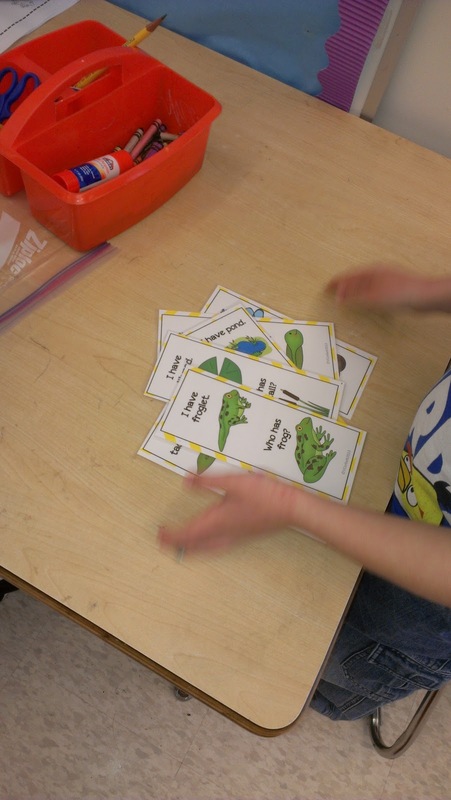 We play it with numbers, science vocabulary and sight words. They love it! I've been busy putting the final touches on this packet...and now it's available for purchase on TpT. You can find it here. Like I said earlier, this week we will take some time doing character studies of various frogs in fiction books. We will look at Frog from Frog and Toad, Jubal from Jubal's Wish, and Green Wilma from Frog in Space. I'm having trouble coming up with more frog characters...can you suggest any? 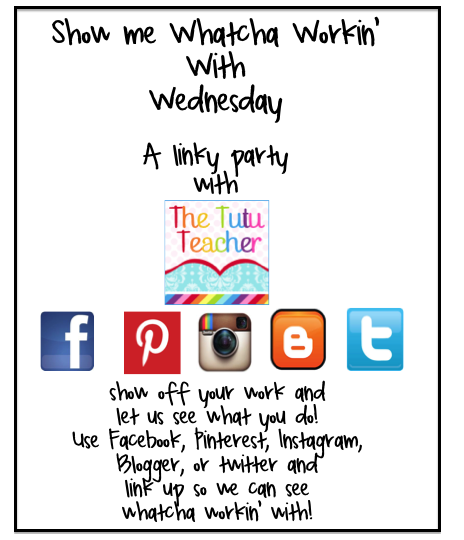 I want to try blogging regularly...and I thought the best way...would be with a weekly Linky Party! Show me Whatcha Workin' With! maybe you got a cute mani and you wanna show it off. link up and show us whatcha workin' with! Wednesday for my Whatcha Workin' With link up.